Four young Cuban musicians are performing this weekend in the Twin Cities as part of an effort to develop a joint U.S.-Cuban youth orchestra. 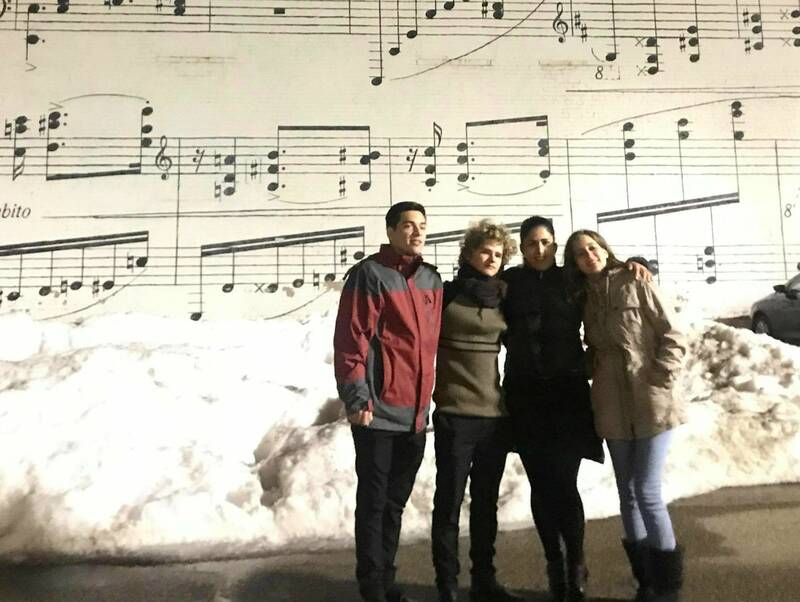 Cuban American Youth Orchestra Executive Director Rena Kraut first met some of the students when she went with the Minnesota Orchestra on its historic visit to Havana in 2016. "Their training is really rigorous, they have incredible ears. They can improvise and they play all sorts of music. They're all classically trained and they love jazz, too," she said. The four musicians are scheduled to play at an informal event at Midwest Musical Imports, 1621 E. Hennepin Ave. in Minneapolis, at 3 p.m. Saturday. They also performed on Friday night after the regular Minnesota Orchestra concert. Kraut said this is the second group of Cuban musicians to visit Minnesota. She said the aim is to eventually create a full youth orchestra — half from the U.S., half from Cuba — which will play and tour for a month each summer, traveling in both America and Cuba and "really getting to know each other on a person-to-person level." "We are expanding to other cities. And then we are also increasing our travel down to Cuba. So we are going to take arts delegations, which would be American students alongside patrons who are interested in learning more about what artists are doing in Cuba, how life is down there for everyday people and what kind of music is going on," she said.